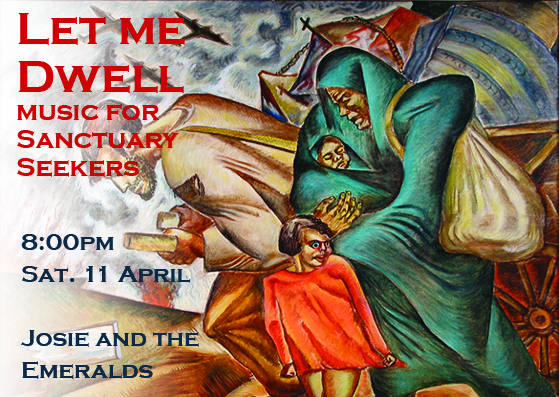 This programme features music that was written by composers facing war, repression, religious intolerance and oppression – the circumstances which still today force people to seek safety and refuge in far away places. 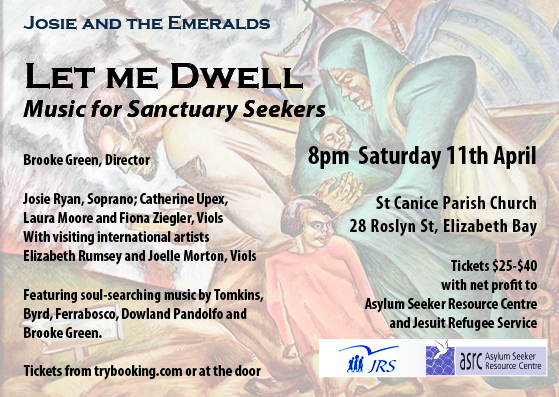 We are presenting the concert as a fundraiser for the Asylum Seekers Resource Centre and the Jesuit Refugee Service – at the beautiful Church of St Canice, Elizabeth Bay. net profits from ticket sales will be given to these two wonderful organisations.